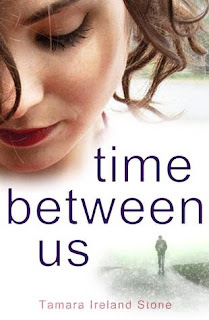 Earlier this year, I read an amazing book, Time Between Us by Tamara Ireland Stone (read my review here). I raved about it then and I still rave about it now. Time Between Us is a beautiful story about two people that never should have met or fell in love, but did. I have the great pleasure today of having the author of Time Between Us, Tamara Ireland Stone, here talking about her own travels to the amazing places that Bennett takes Anna. Time Between Us by Tamara Ireland Stone will be available from tomorrow (the 25th of October) so please look out for it in bookstores! In Time Between Us, Bennett takes Anna to some lovely locations around the world. But frankly, when I began writing this story, I wasn’t sure if I had the expertise to pull it off. Would I remember the details from my own travels? Had I seen enough of the world to write about it? Until I was 28, I’d barely left California let alone the country. And I was okay with that. My world was small and safe. I knew how much each coin in my wallet was worth. I spoke the language. But then a cute guy told me about trains and hostels and unexpected adventures, and that’s when I started to feel like I might just be missing out on something. Eventually, we took sabbaticals from our jobs, scraped our pennies together, and took off for our first big adventure: Five weeks in Southeast Asia to celebrate our engagement. We started in Borneo. You know, the place from Survivor Season 1. The one with the bugs as big as house cats and monkeys that steal your lunch. We saw a monitor lizard that could have swallowed me in one bite if I hadn’t run screaming. When we snorkeled, I swam away from the fish (in my defense, they had teeth). Even though Borneo was my idea (I wanted to go somewhere that wasn’t “touristy”), I spent most of that week wondering why I wasn’t sprawled out on a sandy beach, drinking a sweet beverage out of a hollowed-out pineapple. Then we arrived in Thailand. We fed elephants in Chaing Rai. We visited Buddhist Temples built into jungle valleys of Krabi. On Ko Pha Ngan, we read books from hammocks overlooking the sea by day and danced barefoot on the beach during the island’s now-famous Full Moon parties by night. We ate delicious food, drove a rickety jeep in an insane rainstorm, and we remarked to each other how everyone—and I mean everyone—seemed to be smiling. All the time. It was magical. I was bitten by a lot of mosquitoes but I was also bitten by the travel bug. We saw a lot more of Southeast Asia during that five-week trip, and I only have one regret. I wish I could go back to that first week in Borneo and woman-up. They’re monkeys, for goodness sake. Since then, my travel adventures have been much less daring, but equally memorable. I fell in love with Italy one summer, and specifically with Sienna and the Cinque Terre region. Over two weeks, we visited castles, saw Il Palio, and met locals whose smiles rivaled those that greeted us in Thailand. Every day, I want to go back. When I first began writing Time Between Us, I knew I wanted to mix time travel with world travel. After all, if a cute guy showed up at your front door, held your hands, and told you that if you closed your eyes, he could take you to any place on earth, wouldn’t you have plenty of wish-list destinations to keep the two of you busy for a while? It’s a big world. Quickly, all those fears about remembering Ko Tao or the Cinque Terre or any of the other places that Anna and Bennett visit were quickly put to rest. I remembered everything. Far more details than I had room for on paper. And I made another important discovery: I learned that writing about the places I’ve been is almost as fulfilling as going back there. Unlike my characters, I don’t possess any supernatural talents, but writing this story has given me a superpower I never expected: I can close my eyes and let my imagination take me anywhere in the world that I want to go. Nice post!Willingness to take adventures in life makes it more joyful and happy. Have adventures on travel, is very good and i also have many such adventures in my life.When I was in college, I along with my group went for hiking in Ireland , and those memories are still thrilled me.